Get the Full StoryAKA s Javier Mendez is getting his fighter ready to defend the UFC lightweight title against Conor McGregor, and it sounds like solving the Irishman s striking isn t part of the plan. There s a lot of posturing that goes into the hyping of an upcoming fight. Strikers often talk about the work they ve put into their wrestling and grappling games, wrestlers and grapplers often talk about their improved kick boxing. Notoriously light-fisted volume strikers assure fans that, this time, they re swinging hammers and ready to put their opponent to sleep. It s all part of the dance of fight promotion. Part delusion, part outright lie, and sometimes every now and then an actual, true preview of the fight to come. All that, however, makes blunt honesty a refreshing change of pace. A reminder that sometimes one person is just more skilled in a part of the fight than their opponent, and everyone knows it. That s the track AKA striking coach Javier Mendez appears to be taking. In a recent interview with the Eurobash Podcast, the notable long-time trainer gave his thoughts on Conor McGregor. Mendez is currently preparing UFC lightweight champion Khabib Nurmagomedov to face McGregor in the first defense of the Dagestani s title at UFC 229. And from the sound of it, the game plan is going to be focused on striking as an avenue to grappling, rather than trying to solve McGregor on the feet transcript via MMA Fighting . There s no amount of time that we have that s going to help us to try and get him to stand up. There s no way possible. So, I m not gonna say, Oh yeah, we re gonna get him ready come on wake up it ain t gonna work. We have to fight our strengths, we have to find ways of opening the doors to where his weaknesses are and likewise. This is basically the classic grappler versus striker fight. Keep in mind that they can both grapple and they can both strike, it s just one is better than the other at each discipline . We re the better grappler, he s the better striker, but that doesn t mean we won t strike, it just means he s better. It s about who plays whose game. Mendez added that, in his mind, Conor McGregor is the best stand-up guy in the whole UFC, noting what he feels to be McGregor s pointedly scientific approach and trap setting abilities in striking exchanges. He s a master, in my opinion, on the fighting arts. And he s also got a ground game he s good everywhere. I m not sleeping on how great he is. I m prepared for everything, but he is a great fighter. UFC 229 goes down on October 6th in Las Vegas, NV. 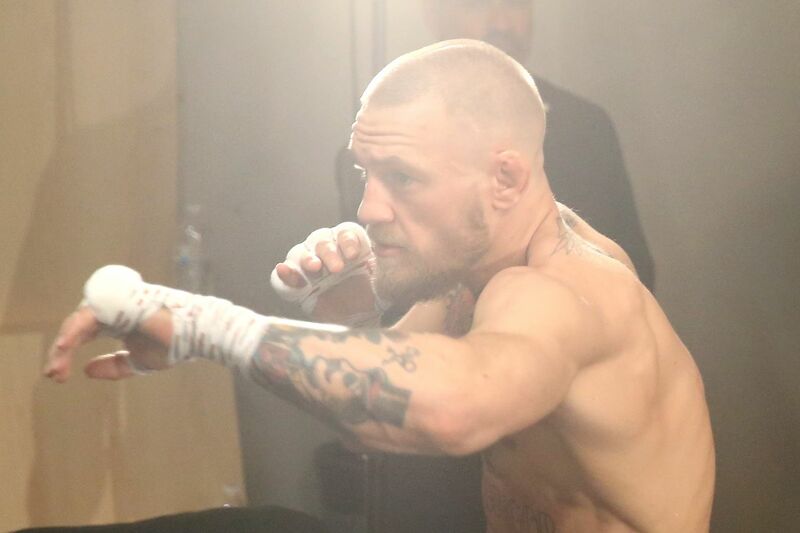 The card is expected to be headlined by the lightweight title fight between Nurmagomedov and McGregor. A bout between former champion Anthony Pettis and top contender Tony Ferguson has been penciled in as the co-main event. Stay tuned to Bloody Elbow for more news and updates as fight night approaches.